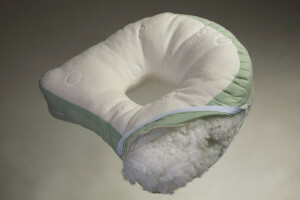 This ear pillow has been designed to ensure maximum comfort and is easy to use. 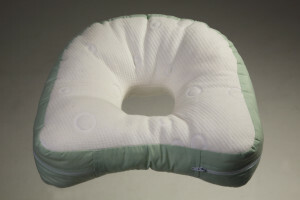 The elevated shape of the pillow helps to reduce tension around the neck and the shoulders. 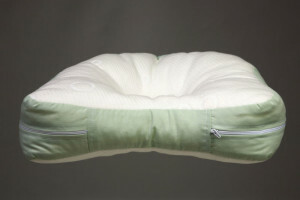 The cluster filled pillow has a luxurious quilted zip off cover filled with cluster polyester filling. Cluster Polyester Filling is the newest scientific and technological product. The filling is constructed of separate pearl sized pieces of polyester and feels more like a loose feather filling without the allergic reaction that feathers can cause. It will not matt together making your cushion feel hard and lumpy after prolonged use.